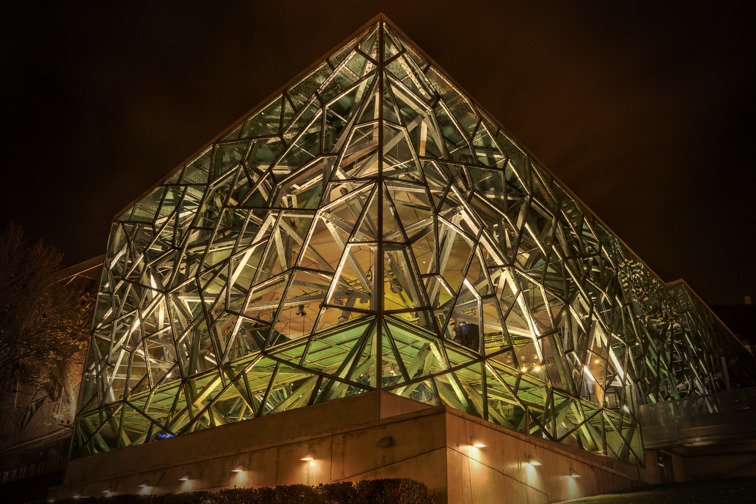 A High Dynamic Range image of The Edge theatre at Federation Square, in Melbourne. This consists of five bracketed exposures, merged and tone-mapped with LuminanceHDR and further processed in GIMP. *Note: The resolution of this image has been reduced to 1500x1000 maximum. If you need a larger version I can provide up to 4460x2969. Contact me through this website, with just a brief explanation of why you need a larger version and in which way I will be attributed as original creator. I am happy to provide the full resolution version, but I would also like to protect my ownership of the image. Restrict comments to "members only" and you you will be MUCH less likely to get rude comments like this.